Book reading often seems to function as a barometer of cultural vitality. For those who wish to argue that we live in a dumbed-down age, the alleged decline in book reading often becomes the benchmark of falling cultural standards. Although pessimistic critics and commentators may shout that the time of the book is over, as they have since the fifteenth century, millions of readers worldwide are not listening to them. Despite the allure of television and the internet, book reading remains a popular activity. However, despite the huge global audiences for books, it is surprising that the complexity of everyday book culture is not readily comprehended. To the apparently simple and perennial question: ‘what do people do with books?’, this research offers a sophisticated response that goes beyond the narrow perception that reading is solely the consumption of narrative. It combines a number of different academic approaches (cultural geography and sociology; literary and cultural studies; and cultural history) in order to better understand the complex nature of readers’ everyday encounters with their books. 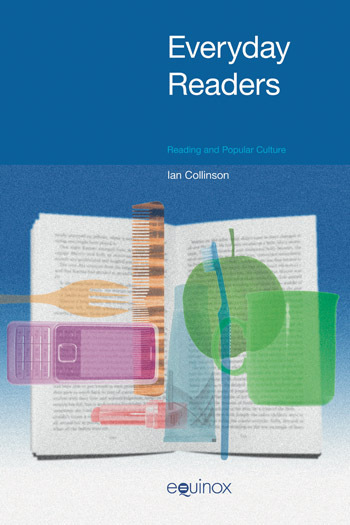 Through the use of an ethnographic method, which grounds the analysis firmly in the experience of real embodied readers, this work reveals the rich textures of everyday reading culture. It demonstrates how seemingly mundane acts of popular reading are, in fact, complex performances enabled and curtailed simultaneously by three cultural economies: the spatio-temporal, the social and the textual. While the consumption of narrative (often thought to be an entirely adequate definition of reading) remains significant, it is only a single element in an everyday reading practice that is, as this book shows, anything but ordinary.